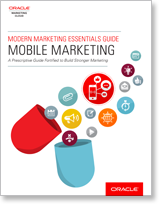 Is your Marketing Mobile Ready? You’ve got a lot vested in your marketing campaigns. Now make sure they’re ready for delivery on the fastest growing consumer channel.